2 Qt. 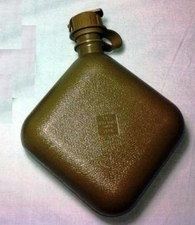 canteen insert with NBC enabled cap. New unused from original pack. This is an insert only. Click here for a complete canteen & cover.